It’s perfect…I love you and that little gummy bear! I'm glad that you are talking about your loss, about your motherhood. It isn't always easy but I do believe it will be helpful both for you and for those who love and care about you. I'm thinking of you as always. That’s a beautiful tribute to your baby. Beautiful. 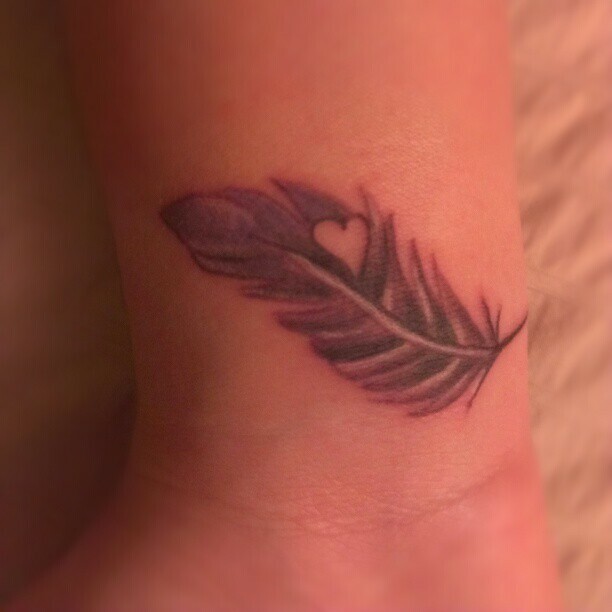 I cant believe its been a month already but the feather is lovely. What a sweet way to remember your little angel. Thinking of you! Absolutely beautiful. The perfect way to honor your child. I had exactly the same train of thoughts as u did. And I am going to do a feather tattoo as well. I lost my baby. And all I have is a grainy ultrasound picture of a bean. No ashes, no nothing. But I’ll always know he left his footprints in my heart.